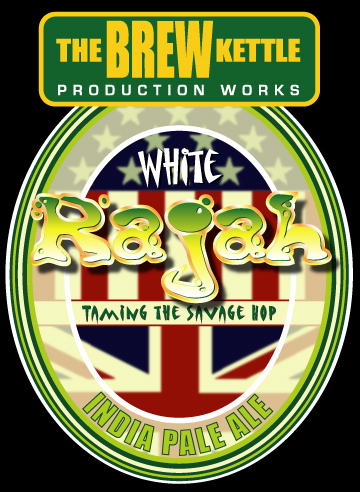 WHITE RAJAH is an American IPA with 70 IBUs and 6.8% ABV. White Rajah pours an orangish gold color that now makes me think of IPAs regardless of the situation. The head is 1/4 inch of tight-knit foam that is fed by the mild carbonation. Lacing is spotty like most IPAs. The nose on this beer is amazing! Pine resin, grass, caramel, and toffee kicks things off with a bang. A touch of tangerine and grapefruit hide in the end and gives it depth. The taste is much bigger and hoppier than I expected. It starts with a caramel drenched in (pine) hop juice blast. 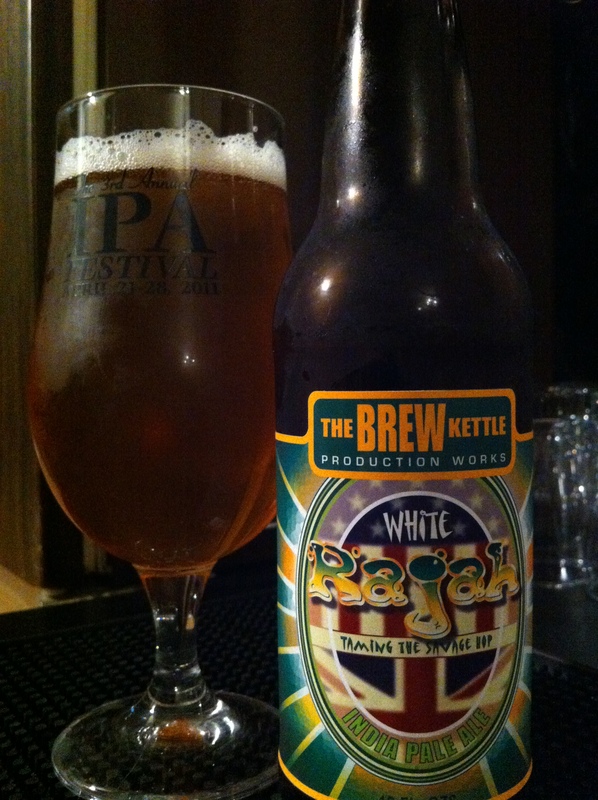 This quickly blends into more hoppy goodness in the form of the tangerine and grapefruit notes I detected in the nose. These citrus helps mellow out the huge initial hop flavor, but it does dry things out a bit. That touch of malts really keeps this beer from becoming an unbalanced hop bomb. Mouthfeel is light and airy, but it ends with a dryness/stickiness that all hopheads can attest to. But not too dry. It’s actually kinda weird. White Rajah is an odd duck. Just when I thought I had it figured out it would shift on me. All pine hops? Nope, there’s some caramel and citrus. Really dry body? Nope, there’s some sweetness to mellow it out. It was a hard beer to put my finger on, but that ever changing property made this a wonderful beer.